If you’re looking for a good lad’s night out, then there are some top class gigs coming up in the UK in the coming months and into next year. Now this could be for a special occasion like a stag night, a birthday bash or just a regular night out. Whatever it is you are looking for, you can rest assured that there is something here for everyone and this includes a wide age range and to suit some very different occasions. Some of these artists have been going since the late seventies and eighties and are just about as popular now as they were in their heydey. They also have a whole new generation of younger fans who follow them as well. So, let’s take a quick look at some of the best upcoming events for the best men that are happening at the moment or in the very near future. The Stone Roses are a British rock band who first got together in 1983, in Manchester. 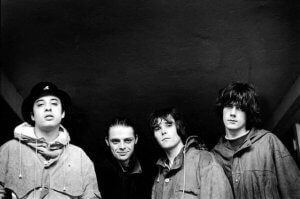 They released their debut album, also The Stone Roses, in 1989 and became one of the most successful bands from the UK during the late eighties and nineties. They were quite a controversial band in some ways, but this was mainly due to a somewhat uneasy relationship with the music media, which they quite often treated with complete disdain. Since those early days there have been several breakups and lineup changes, but now the band are back together and touring again. Several large stadium gigs have been announced for next year The Stone Roses tour in England, Scotland and Northern Ireland. 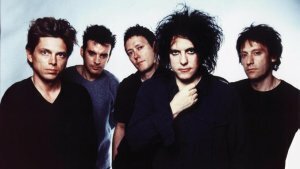 The Cure formed in Crawley, in West Sussex, in 1976 when the instantly recognisable frontman, Robert Smith, got together with three school friends, Michael Dempsey, Laurence Tolhurst and Paul Thompson. From the off they were writing their own material and in 1980, their second album, ‘Seventeen Seconds’, reached number 20 in the UK charts. Much success soon followed, both with albums and singles, throughout the eighties and early nineties. Like with many bands, there were breakups and lineup changes but The Cure is still going today, albeit with Robert Smith is the only surviving original member. They are currently touring the UK. The Jam were the legendary punk/mod band formed in the late seventies, with the best known own lineup being Paul Weller, Bruce Foxton and Rick Buckler. They had phenomenal success in the late seventies and early eighties but disbanded in 1982 when Paul Weller felt that they had run their course. While they all went on to pursue different projects, in 2007 Foxton and Buckler formed From The Jam, with Russell Hastings as frontman. Almost from the start, they were a huge success, with sellout tours in the UK and other parts of the world. Now they are on tour of the UK again, and you can get all the details about venues from the band’s own website. Limp Bizkit are an American band from Florida who got together in 1994. Their style is rap/rock, and they are probably best known for the highly visual, sometimes outlandish, appearance of guitarist, Wes Borland and the angry vocal delivery of the lead singer, Fred Durst. Using masks, uniforms, facial and body paint, Borland showcases the band in their spectacular live shows. They soon gained a huge cult following and then achieved mainstream success with their second and third albums. Despite this success, their live shows sometimes attract controversy because of the behaviour of the fans and the band gets blamed for a lot of this. 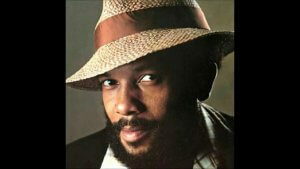 Roy Ayers is literally one of the main pioneers of jazz/funk music which he helped to start in the seventies. Now he is known as a leading music individual in the genre of ‘acid jazz’. It is a mixture of hip-hop, jazz, funk and Ayers has also been affectionately known as ‘The Godfather of Neo-Soul’! He was born in Los Angeles in 1940, and since rising to prominence in the sixties, he has enjoyed considerable success around the world, both as a musician and singer in his own right and also as a producer and music writer. Roy is playing several dates in the UK and Ireland in December. Incognito is a British band formed in 1979 and known in the genre of ‘acid jazz’. They released their first album, entitled ‘Jazz Funk’, in 1981 and since then they have had a great degree of success both in the UK and worldwide. Since that first album, Incognito have released a further sixteen, the latest being ‘In Search of Better Days’, which was released in June of this year. Incognito are currently on a short tour of Europe and are going to be doing several gigs at The Jazz Cafe in London during December. Incognito with ‘Always There’ which was the band’s biggest hit in the UK singles chart, peaking at number six. Jamie Cullum is a famous British singer/song writer in the jazz/pop genre of music. lbum, and now they are so rare that they can go for as much as £600 on sites such as eBay! Jamie has since achieved phenomenal success worldwide. He has performed all over the world and also appeared at many large festivals, including Glastonbury and the Monterey Jazz Festival. He also supported Billy Joel on his US Arena tour in 2014/15. Now Jamie will be appearing at London’s Jazz Cafe for just one night on Sunday 4th December. I hope you will enjoy your time and have fun with all these upcoming events. So there we have just a few of the top upcoming events for the Best Men. Be sure to check them out!